Do you yearn to encounter the God revealed in the Bible? Mills guides you to a deep awareness of his holy presence! Introducing different realms, spheres, and dimensions of God's kingdom, he helps you understand the relationship between moving in the Spirit and the power of faith; operate in the supernatural; and experience the miraculous. 224 pages, softcover from Whitaker. They hunger to experience the glory of God theyve only read about in the Bible. Joshua breaks down our understanding of Gods glory into three parts: first, moving in the Spirit, which is about understanding the different dynamics of faith, anointing, and Gods glory; second, moving in the supernatural by recalibrating ourselves to heavens frequency, working with angels, and accessing the highest power of Gods glory so that the miraculous dimension begins to manifest; and third, moving in the heavenlies, dealing with spiritual travel and prophetic encounters, manifesting divine abundance, and living in heavenly revelation. Throughout, Joshua shares many unusual and extraordinary testimonies of Gods glory working through uncommon signs and wonders, heavenly experiences, angelic appearances, and other manifestations of the miraculous, Through his dynamic teaching and powerful testimonies, Joshua will not only help you understand Gods glory, hell also guide you into experiencing and walking in the glory every day. "This is a foundational book to 'prep' for the glory, not the tribulation!" Sid Roth, host of Its Supernatural! "In my years of ministry around the globe, I have found that everything is transformed in the wonderful presence of the Holy Spirit we call the glory. It is in the realm of Gods presence that we are transformed, circumstances bow, and one word can make the impossible possible. I believe we are now, more than ever before, stepping into the prophetic promise given in Isaiah 6:3: The whole earth is full of His glory. Moving in Glory Realms comes at a very strategic time for Gods church. A fresh wave of glory for the end-time harvest is here, and God is raising up His glory-carriers to minister Gods healing, salvation, and deliverance. 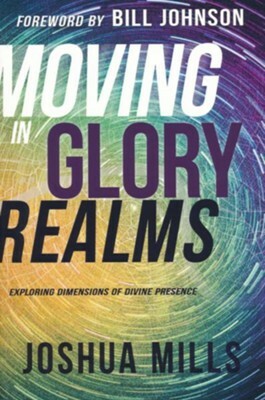 Moving in Glory Realms will serve as a catalyst to awaken hunger for Gods presence, and it will lay out a biblical foundation for you to live and move in greater levels of faith, anointing, and glory. May the Lord open up this realm to you as you study the pages of this book." 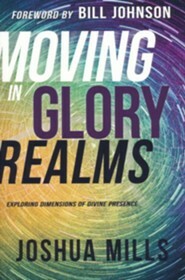 I'm the author/artist and I want to review Moving in Glory Realms: Exploring Dimensions of Divine Presence.